Oooooh.....I'm totally duping this outfit this week. I've only got a black leather vest, though, so that will have to stand in for the puffer. Love it! 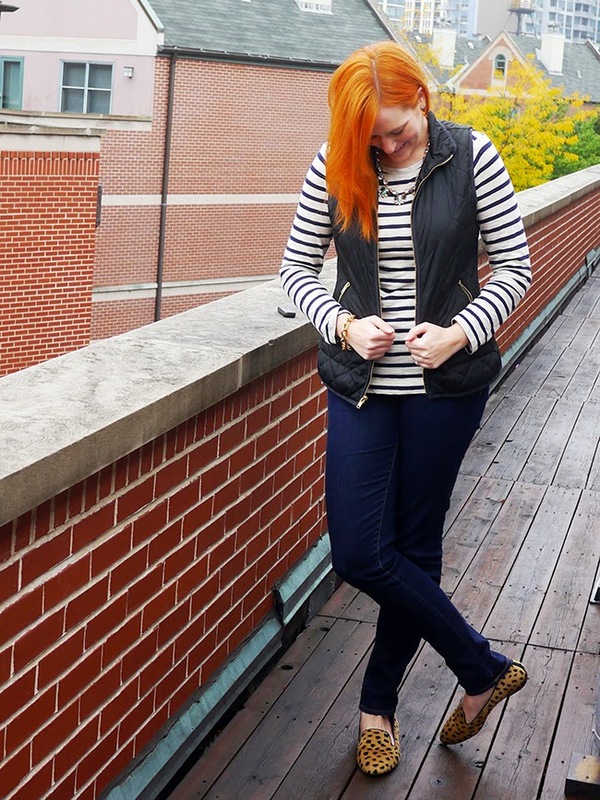 Um, did you just seriously pair stripes with a vest and leopard?? Kristina for the win!!! Love this! 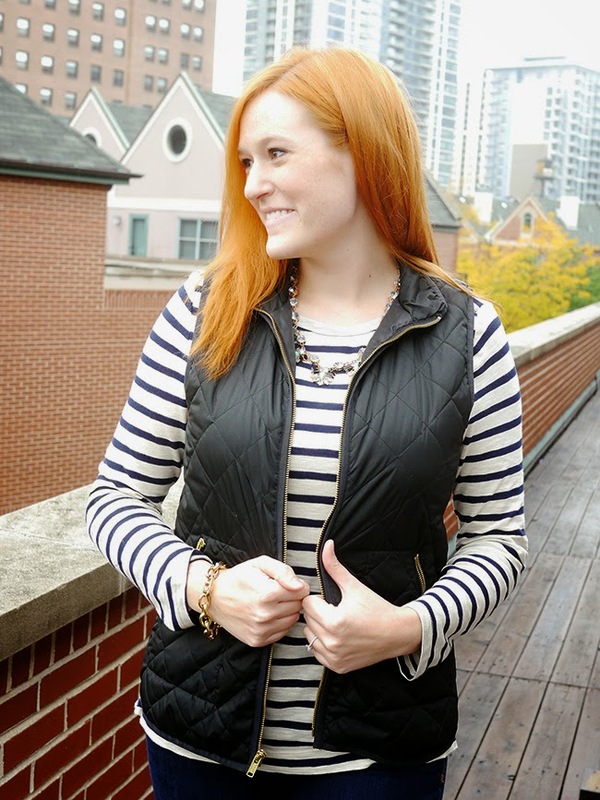 love the vest - I have it in navy + black from last year and I wear them ALL the time! I really need a vest like yours!! 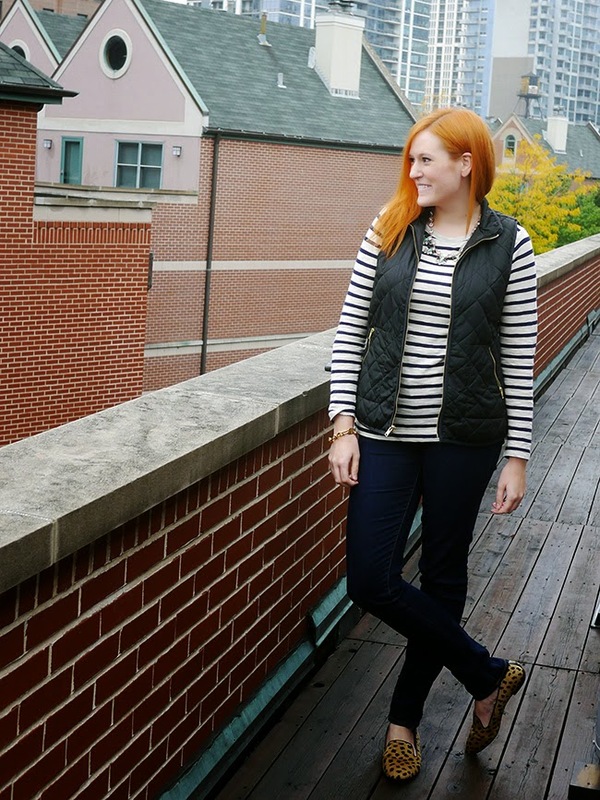 It's so perfect for fall! YES! 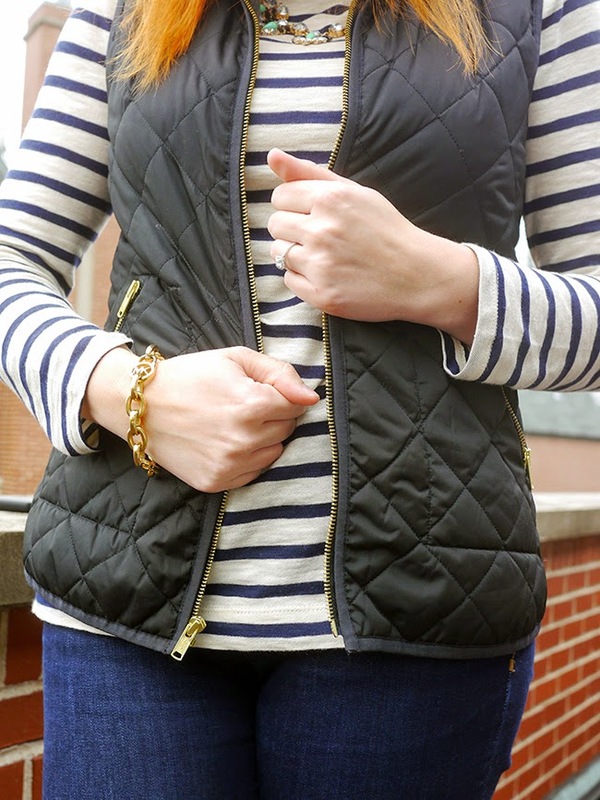 I love the vest look. I bought one at the end of the season in 2013 but still felt kinda nervous about it. But I wore it allllllll last fall winter with so much love.I miss it already. Damn Florida!